Meet the 2017 JL Boston Slate! - The Junior League of Boston, Inc. The Nominating Council is thrilled to introduce you to the 2017 Junior League of Boston Slate. Please join us in congratulating these accomplished women who will be leading the League as we transition to our new leadership model. Throughout the Nominating process the Council was impressed by the energy, commitment and strong desire to lead our members that each woman exhibited. We know that with them at the helm the League will continue to live into its mission of promoting voluntarism, developing the potential of women and improving communities through the effective action and leadership of trained volunteers. Michelle Lentz has been actively involved with the Junior League since 2002, when she joined as a New Member in San Antonio, TX. She transferred to Dallas, TX in 2003 and served for several years on a variety of community-based and internal-supporting placements, including Musical Therapy and the Dallas Dish Cookbook, on which she held leadership positions. Since transferring to Boston in 2011, Michelle served in a leadership capacity as the Transfer Committee Co-Chair in 2012-2013 and the Director of Membership 2014-2015. She returns to the Board of Directors again this year as Director of Fund Development. Michelle graduated from Texas Christian University and currently lives in the Back Bay. She works in the advertising/marketing industry and serves as Account Director for the digital marketing firm, Primacy. Elizabeth Wagner currently serves as the Director of Strategic Management and Planning. She joined the Junior League in 2011 and has previously served as Chair of Kids in the Kitchen – BRCS, and on the Finance Council and other Community programs. Elizabeth is Chief Operating Officer for 3 biotech start-ups in the Boston area. She is also a Lecturer for a biomedical engineering seminar course at Massachusetts Institute of Technology. Elizabeth holds a BS in pre-medicine from the University of Notre Dame, an MA in Clinical Research from Boston University School of Medicine and an MBA/MS from the Massachusetts Institute of Technology. 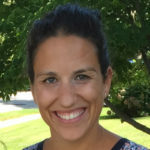 In addition to her work with the Junior League, Elizabeth is Director of the Notre Dame Business Council Healthcare Vertical, Director of the Council of Champions for Life Science Cares and was the former President of her triathlon club. She is an Ironman and avid traveler. Elizabeth currently lives in the South End. Ashley Young currently serves as the Manager of Internal Communication of the Junior League of Boston in 2016-2017. Ashley served as a New Member advisor 2013-2016 and was a member of the JL Boston Arts BRCS group-mentoring program 2010-2013. 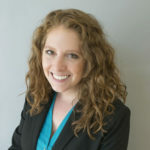 Professionally, Ashley is a CPA and works for a local technology software company, Pegasystems Inc. She holds a Masters of Accounting from Boston College and a Bachelor of Arts from Suffolk University. Ashley lives in the North End of Boston. Sarah has been a member of JL Boston since 2012. Since joining the League, Sarah has been actively involved in the Community Council and has served as a member of the Leader Within and Research and Development. She has served as a community chair for the Germaine Lawrence Run Club, Done in a Day Daytime, and Learning Circles Charlestown. Sarah graduated from Mount Holyoke College with a BA in Latin American Studies. She went on to receive an MSN in Adult/ Women’s Health from the MGH Institute of Health Professions and subsequently completed a fellowship in Palliative Care through Harvard Medical School. She currently works as a Nurse Practitioner in Radiation Oncology at Beth Israel Deaconess Medical Center. Sarah lives in Charlestown with a very active toddler, her cuddly mini-goldendoodle, and her supportive husband. She can often be found on long runs with her family or baking cookies. 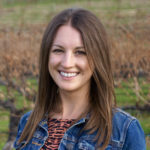 Marissa joined the League in 2012 and has served as the chair of the Cookbook and Products Committee, the 2015 Junior League Charity Gala and the Bachelor Auction chair, and most recently has served as the Director of Training. Marissa as a BA in Psychology from Providence College and a Certificate of Advanced Graduate Studies in School Psychology from Rhode Island College. Professionally she works as a School Psychologist for a middle school and an In Home Behavior Therapist. In her free time she can be found skiing, traveling, playing golf, or relaxing with friends. Amy has been a member of the Junior League of Boston since 2011 and she has served on the Membership Committee for past several years as both the New Member Program Manager-Elect and a New Member Program Advisor. She is currently the New Member Program Manager. She has also served with Digital Impact and as a member of the Research & Development Committee. Outside of the League, Amy works as a Behavior Change Design Director with Mad*Pow, a design agency that strives to help people improve their health and wellness, meet their financial goals, learn, and connect. 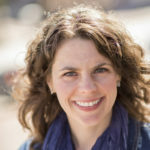 Some of the issues Amy focuses on professionally include patient engagement, medication adherence, health behavior change, wellness, happiness, and goal-directed behavior. 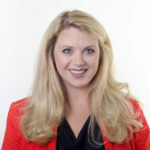 Amy frequently speaks in the Boston area about issues related to motivational design and behavior change, and blogs at amybucherphd.com. She earned her PhD in psychology from the University of Michigan, Ann Arbor, and her undergraduate degree from Harvard University. In her spare time, Amy loves to run, read, cook, and travel. She lives in Charlestown. Sarah Perkins has been an active member of the Junior League of Boston since 2014. 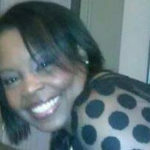 She most recently served as Co-Chair of Learning Circles Dorchester. There she opened a new placement and partnership in the Dorchester neighborhood. Sarah has a passion for community advocacy and is a champion for girl’s education and empowerment. Sarah is a proud graduate of Smith College where she received a BA Economics. 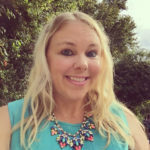 After gaining professional experience in multiple roles from previous employers EMC Corporation and Hewlett Packard, Sarah now works as Senior Product Manager at Oracle Corporation. There she leads global cross-functional and agile engineering teams building dynamic and innovative cloud software for enterprise companies. Locally she serves as a board member for the Smith College Club of Cambridge as co-chair of Community Outreach for local women’s issues and Admission Chair and member of Rotaract, Rotary of Boston’s Young Professionals. Sarah lives in Cambridge, where she enjoys gardening, picnics for Shakespeare on the Commons, and West African Dance. 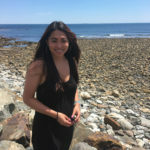 Celeste’s passion resides in supporting her community, and especially youth, in Lawrence through her volunteer work and as the Chairwoman for the New England Chapter of the NFLPA PAF Scholarship Committee. Celeste is an alumna of Emerge Massachusetts and actively engaged in her local Democratic Ward. Celeste is a graduate of Simmons College and is currently taking classes at Tufts University. She is the Creative Director of Dream Imagine Studios – Heirloom Weddings & Special Events. She was born in Antigua, VI, and is married to Eric Walker. She and her husband enjoy antiquing, cooking, watching HGTV and the History Channel. Shana Wagner’s volunteer career began with the Junior League over 20 years ago in her hometown of Atlanta, Georgia. After transferring to the Boston League in 2000, she has actively served on multiple committees including communications, events, development, transfer, and the sustainer board. Additionally, she has been a dedicated volunteer for several other organizations including, The Vincent Club, which supports the OB/GYN division of MGH, and the British American Business Council of New England for the past 16 years. Professionally, she has performed various roles including in the corporate sector and is currently a senior admissions professional at Harvard Medical School. Outside of her work and volunteer commitments, Shana enjoys globetrotting around the world–particularly Europe–and spending downtime in Wellesley with her significant other, David. 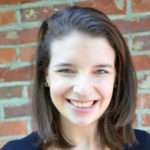 Mary Beth Findlay Sisti joined the Junior League of Boston in 2012, and since then, she has served as the Internal Communications Coordinator for the Communications Council for two years, as well as volunteering with Learning Circles Charlestown, JLB Arts, and Kids in the Kitchen. 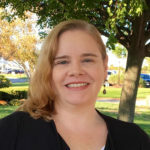 Professionally, Mary Beth works as a digital project manager at MedTouch, a company that develops websites for hospitals and healthcare organizations. 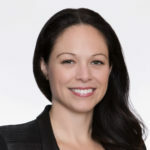 After growing up in San Jose, California, Mary Beth completed her Bachelor’s in Communication at Boston College and a Juris Doctor with a concentration in intellectual property law at Boston University. Mary Beth and her husband Michael live in Charlestown. Lyn has been a member of the Junior League of Boston since 2004 and she has served on several committees, including Community, Membership, and Communications. Over the course of 12 years, she has co-chaired 3 new Community Projects, served as Advisor for both New and Transfer Members, launched the JL Boston blog, and even tested recipes for the JL Boston Cookbook! By day, Lyn helps to lower the cost and environmental impact of energy while improving reliability. At the Commonwealth of Massachusetts’ Department of Energy Resources, she advocates for and implements energy efficiency policies. She earned her JD from Suffolk University School of Law, and her undergraduate degree in Mechanical Engineering from Stevens Institute of Technology in Hoboken, NJ. In her spare time, Lyn founded organizations promoting conversations about sustainability and home cooking. She also loves NPR, bad jokes, and dog sitting. Dana Roth has served on the Community Council since she joined the Junior League of Boston in 2014. Professionally, Dana is an experienced analyst with a background in empirical research and public health. She has ten years of experience conducting social science research, and for the past three years, she has contributed to a broad range of projects in the healthcare field at DMA Health Strategies. Prior to her work at DMA, she served as both a research assistant and a project coordinator in Social Psychology research laboratories and was a Field Organizer for Organizing for America Virginia, President Obama’s grassroots re-election campaign. Dana holds a B.A. in Psychology from the University of Virginia, where she graduated with high distinction, and an M.S. in Social Psychology from the University of Massachusetts, Amherst. While at UMass, she also served as the Program Coordinator for the Psychology Department’s undergraduate concentration in Developmental Disabilities and Human Services. Dana lives in Brookline and enjoys college football, yoga, and entertaining. 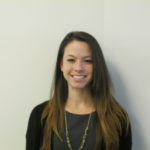 Emily is a Rhode Island Native and relocated to Boston after accepting a position at the online retailer, Wayfair.com. She joined The League in 2015 and since has volunteered for Dress for Success and is currently on the Communications Council. 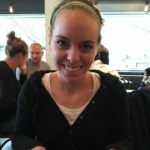 Outside of all things Junior League, Emily has a passion for reading, writing, cooking, live music and Boston sports! Tali Lekorenos grew up in a suburb outside of Boston. She left briefly to attend Denison University, where she graduated with a B.A. in Studio Art and a minor in Political Science. Professionally, Tali started her career with a direct sales jewelry company called Chloe + Isabel in the winter of her senior year in college and she’s since sold $33,000 in lifetime sales with C+I. And was able to get her now full time job out of her experience with Chloe + Isabel. 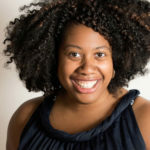 Currently, Tali serves JL Boston as Community Research & Development Lead. Professionally, she is an Implementation Consultant for a financial software firm called SS&C Technologies. Where she works with Investment firms to build and integrate their client reporting tools. In her spare time, she likes to bake and read blogs. Judith Henry is a CERTIFIED FINANCIAL PLANNERTM with over 20 years in financial services including 10 years as a Registered Securities Representative. As an LPL Investment Advisor Representative (IAR), she manages clients’ long-term investment portfolios, provides retirement planning solutions, and assists clients with implementing appropriate withdrawal strategies. Judy is an active member of several professional organizations, including the Financial Planning Association and Boston University Alumni Club. She is also passionate about volunteering in her community. 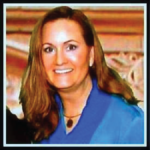 She provides pro bono financial counseling and tax return preparation to military families. She also conducts “Financial Fire Drill” seminars at local libraries, providing information on financial planning for various life situations, including illness and job loss. In August of 2013, Judy became a member of the Board of Trustees of the Spirit of Knowledge Charter School in Worcester, MA. Judy has been a dedicated member of the DCU Financial team since 2006. She applies her experience, knowledge, and passion to each client’s personal financial situation and enjoys assisting clients in working towards their long-term financial goals. Judy resides in Shrewsbury, MA with her husband of 25 years, Barrington Henry, who is a Senior Member of the Technical Staff at Charles Stark Draper Laboratory in Cambridge, MA. They have two young adults. To relax she loves to travel and enjoys ocean boating. Brindey Marine joined the league in 2010 when her bestie in the London league said, “It is a hole in your pocket and your calendar, and you’ll love it.” Six years, and the only word she would change in that description is “hole” to “hill.” The money and time she spends with the amazing women of the league goes to building up our communities and the girls who live in them. What better way to spend resources? Brindey stays at home with her two young boys, and works part time at New Arrival Educators when the stars align and both kids nap. She lives in Hingham and enjoys running, reading, and rosé. Loren Glaser has been a member of the Junior League of Boston for the past five years. She has served on Dress for Success, Events, Done in a Day, and as a New Member Advisor. Loren is the Assistant Director of New Student and Family Programs at Berklee College of Music. In her free time, she enjoys traveling, watching sports, and hanging out with friends and family. Jamie Ahu serves as Charity Gala Co-Chair for the 2016-2017 year. Originally from Honolulu, Hawaii, Jamie moved to Boston in 2013. She studied Business Management at Hawaii Pacific University and has been working with nonprofit organizations for over 10 years. 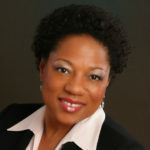 She has served on the Strategic Planning & Management Council and Communications Council. A life-long believer of “go big or go home” she took a huge leap when she joined The League and is more excited than ever for the future! Erin Maloney has been a member of the Junior League of Boston since 2010, serving as Co-chair of the Germaine Lawrence Amiga program for the past 3 years and prior to that volunteered with Learning Circles Charlestown for 3 years. 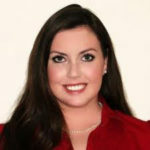 Erin graduated from Northeastern University with a Bachelors Degree in Healthcare Administration. 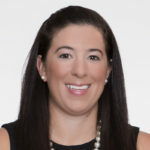 She has worked for Partners Healthcare at Spaulding Rehabilitation Hospital and currently manages the Home Base Program, a partnership between the Red Sox Foundation and Massachusetts General Hospital that provides behavioral health and wellness services to veterans and their families. She lives in Charlestown with her pug Fenway and enjoys playing golf, practicing yoga and cooking in her free time. Kathy joined the Junior League of Boston in 2011 serving initially as a member of JLB Arts at Boston Renaissance Charter School and then on the Finance Council for three years. She served on the Public Awarenss Committee during 2015-17 and believes that this placement has great potential to lead awareness and advocacy of the League and issues consistent with its mission. Kathy graduated with a BS in Health and Wellness Management from the University of New England in Maine. She participates in 5K , 10K and obstacle course races. She is an avid crafter focusing on paper craft and mixed media art. Kathy is a life-long Bostonian.